Looking for colorful, affordable artwork for your home or office? You have come to the right place to solve your empty wall problem. Artwork by Nicolette...An affordable splurge! Why not treat yourself to a colorful, uplifting piece of art today? For a purchase you can feel good about. Nicolette feels very blessed to be living her dream! Living on the Central Coast, she has been an artist and poet since childhood. Presently focusing on aqua media, she is known for her use of many colors in each painting, made with vibrant watercolors from Russia, acrylics from France, and thick watercolor paper from Italy. Each piece showing much thought with color and texture makes the viewer ask, "How did she do that?" The sixth child of seven and mother of three finds both peace and excitement in creating each new painting. Nicolette can also paint a picture in your mind with her ability to describe in detail what she is trying to say in a poem. Her down to earth style is easily understood and may catch the reader off guard as she touches their heart more than they thought she could. She often writes about serious subjects but leaves the reader (or audience*) feeling encouraged as she shares a part of herself with them. She knows her talents are God given and is very thankful for her success! 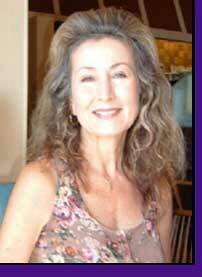 *Nicolette has read her poetry in a variety of places to thousands of people Full Biography Click Here.